During the Spring Festival, the news was warmer, and the four major indexes oscillated all day, achieving the “opening the door” of the Year of the Pig. 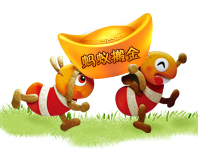 The performance of the board is strong, and the concept of the theme is leading up; the white line of the main board is slowly stronger under the stimulation of the money-making effect; today is the general increase, which is a red envelope for the friends who hold the holiday, then what is the next trend? Pork related is today's strong hot spot. The African swine fever epidemic continues. The pig price has risen for 5 consecutive years. It has already broken the curse of “falling after the festival,” and the probability of persistence is not great. Similar to consumer electronics, voice technology, wireless charging, etc. is a general increase. The future may continue, or it will start in the "new infrastructure." Before the holiday, the market was thunderous, and many stocks thundered and fell on the board. Today, there is a general increase in the market. Many people are confused by the positive and negative ones. In fact, they are all normal. The general increase indicates that the market has fallen in the face of the market. Differentiation, those falling back are big probability events, only the main line of the market will continue. The thunderbolt before the Spring Festival actually represents a thorough risk market on behalf of the market. After the thunder, the mine is less; the Thunder is less, in fact, it is very safe, which is why we are heavy. The release of the two restrictions is still good for the market. In the market of 2019, the only uncertainty is the science and technology board; the current news is that the threshold is 500,000, up or down by 20%, the diversion of funds is affirmative, but the degree of diversion is not too large, after all, the threshold is high. Looking at the technical side, the Shanghai Composite Index re-entered the 120-day line a year later, which also said that the risk is not big. Ants move gold, only this one.